Theremin World - That Fateful Day: Happy Birthday Lev! That Fateful Day: Happy Birthday Lev! Saturday is Lev Termen's birthday. Man! where would we be without him? He was born was born August 15, 1896 in Russia. 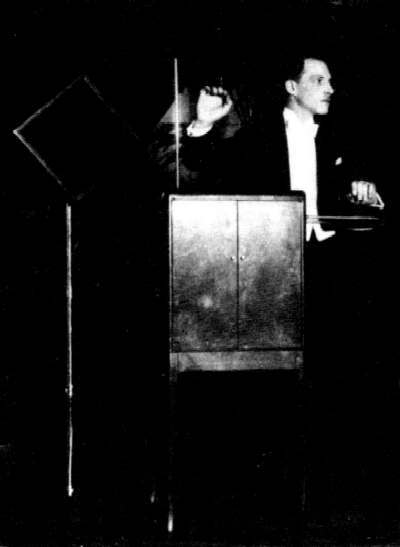 According to Albert Glinsky's book, Theremin: ETHER MUSIC AND ESPIONAGE, around 1920 when Lev Termen, as a young man, was newly accepted to work in the Physico-Technical Institute his first project assignment involved using the body as a capacitor which could interfere with an electrical circuit without touching it and set off a signal to create the first invisible burglar alarm. Lev's next assignment was to measure gas fluctuations using the harmonics of a tuned circuit, or oscillator, and the oscillator issued a whistling note that changed in pitch as the properties of the gas ("aether") changed. He noticed that as he moved his hand towards and away from the circuit the pitch rose and fell. These first two practical jobs given to him at the Institute became the basis of his greatest invention: the theremin. During his time in the United States his name was Leon Thermein, and the rest as they say, is history. Do you have any theremin fun planned this weekend to celebrate?